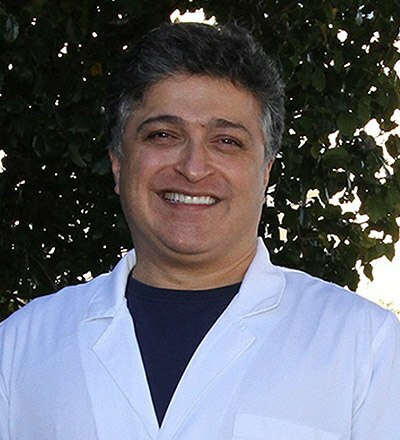 Dr. Azmoodeh is proud to have been a dentist in Plano, TX for nearly 20 years. A graduate of the Texas A&M College of Dentistry, “Dr. A” loves that he gets to help improve people’s health, appearance, and confidence every single day. His favorite part about coming to work is getting to collaborate with a team he truly respects and constantly challenging himself to perform dental procedures to the best of his abilities. Despite his decades of real-world experience, Dr. A is constantly seeking to expand his knowledge and skill set through continuing education, which has led him to receive specialized training in implant dentistry (both placement and restoration), dental sleep solutions, and Chao Pinhole gum surgery. This dedication, in addition to his active membership in the American Dental Association, led him to be nominated as one of “America’s Best Dentists” in both 2015 and 2016! Away from the office, Dr. A likes to spend his free time with his wife and two beautiful children, ages 14 and 12, attending their sporting events whenever he can. He considers himself a movie-buff, and he always likes learning more about computers and history.